In the perpetual hunt for next generation high-efficiency LEDs and solar cells, researchers at Los Alamos National Laboratory and their partners are developing ground-breaking 2D layered hybrid perovskites that allow higher level of freedom in designing and fabricating efficient optoelectronic devices. Consumer and industrial applications could include economical solar cells, detectors, laser diodes, LEDs, and other nano-optoelectronic devices. Our material is a layered compound, meaning it is a stack of 2D layers of perovskites with nanometer thickness (like a stack of sheets), and the 2D perovskite layers are separated by thin organic layers. This work could overturn conventional wisdom on the limitations of device designs based on layered perovskites. The paper was published in the Science's First Release distribution journal. The 2D, near-single-crystalline "Ruddlesden-Popper" thin films have an out-of-plane orientation so that unrestrained charge movement takes place across the perovskite layers in planar devices. At the edges of the perovskite layers, the team detected "layer-edge-states," which are crucial to both high fluorescence efficiency (a few tens of percent) for LEDs and high efficiency of solar cells (>12 %). The spontaneous conversion of excitons (bound electron-hole pairs) to free carriers through these layer-edge states seems to be the answer to enhancing the light-emitting and photovoltaic thin-film layered materials. The team examined both optoelectronic and photophysical properties of phase-pure homogenous 2D perovskites. They were able to demonstrate that thin films have an intrinsic mechanism for dissociation of the robustly bound electron-hole pairs (excitons) to long-lived free-carriers offered by lower energy states at the edges of the layered perovskites. Furthermore, after carriers are captured in these edge states, they stay protected and do not lose their energy through non-radiative processes. They can add to photocurrent in a photovoltaic (PV) device or radiatively rejoin efficiently for light-emission applications. These materials are quantum hybrid materials, possessing physical properties of both organic semiconductors and inorganic semiconducting quantum wells. We are just beginning to understand the interplay of the organic and inorganic components in 2D perovskites and this result underpins how unique properties can arise from competing physical properties. "These results address a long-standing problem not just for the perovskite family, but relevant to a large group of materials where edges and surface states generally degrade the optoelectronic properties, which can now be chemically designed and engineered to achieve efficient flow of charge and energy leading to high-efficiency optoelectronic devices," said Aditya Mohite, who leads the perovskite program in the Material Synthesis and Integrated devices group at Los Alamos. 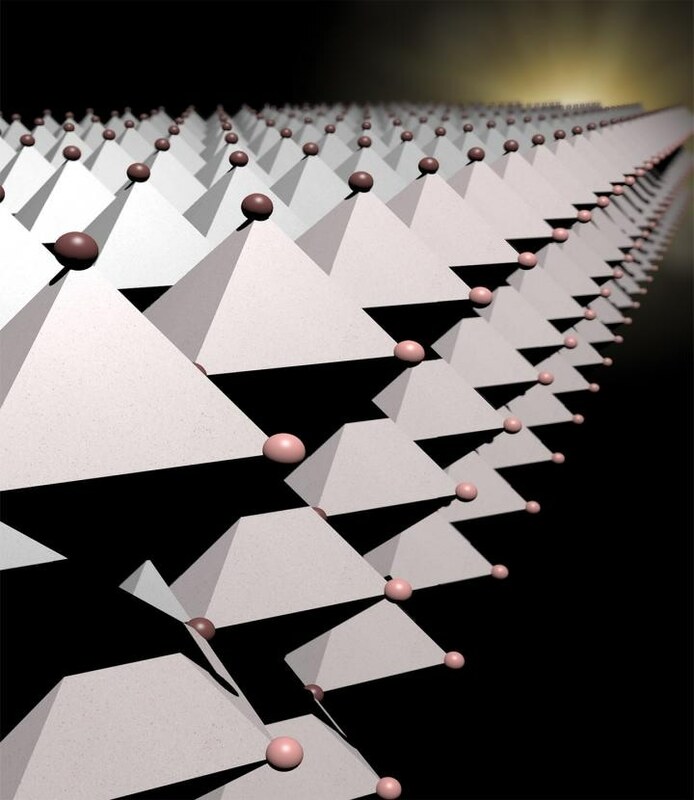 The 2D hybrid perovskites continue to surprise. When we first designed these materials we were hoping that high quality samples of them would exhibit novel optoelectronic properties. Well, they have done so and then some. They have exceeded our expectations and are proving to be truly amazing systems. We have only scratched the surface of what is there--sorry for the pun--in this 2D family and we anticipate continued excitement going forward.